Lamudi has seen some luxurious properties over the years ranging from beachside villas in Bali to penthouses in Manilla, but the top ten most expensive houses in the world are in a different league altogether. Their combined value is a staggering $7.6 billion; that’s 38,000 houses costing $200,000 each or you could take a round trip to the moon 15,906 times. You could even solve world hunger, if just for three months. So without further ado here are the world’s most lavish houses in order of their value. This is the kind of home that you could imagine a bond villain living in. Inside there is a wine-tasting facility and a secret passage that leads to one of the world’s most celebrated restaurants ‘Dinner by Heston Blumenthal’. Costing more than $7,400 per square foot you can expect the highest level of security; bullet proof windows and SAS-trained security guards come with the flat. The current owner is thought to be the used-car mogul Geoffrey Michael Warren who has been trying to sell it since 2012, but has slashed the price by $2.4 million. Warren is estimated to have a net worth of $557m making him the 255th richest Britain. This one is the not so humble abode of former Oracle CEO Larry Ellison a man with the AKA as “America’s most avid trophy-home buyer” he is a birthday gift to estate agents as he buys many properties. He built this 23-acre estate in 2004 with a tea house, bath house, and other Japanese style elements. Some of Larry’s other real estate assets include a Hawaiian island, a private golf club, a Beechwood luxury villa, and a 2.5-acre Snug Harbor home in Lake Tahoe. A tough man to track down should you need to. Named after Belgian King Leopold II, the most expensive French villa in the world has stunning Mediterranean sea views and once served as a military hospital in WWI and was a home in the Hitchcock movie To Catch a Thief. It is owned by the Russian billionaire Mikhail Prokhorov who stands 6ft 8in and has a net worth of $8.1 billion—making him one guy you wouldn’t want to mess with. This 10-bedroom property has an Olympic-sized pool and 35 acres of manicured lawns with 15,000 plants and around 20 greenhouses with rare vegetation. The house has stables for 30 horses and if you listen closely you might neighbor Andrew Lloyd Webber making some music. Spread across 95 acres built by Prince Bandar bin Sultan this Colorado high-mountain hideaway is for billionaires only. At 56,000 square feet, it is larger than the White House; 12 bedrooms, 16 baths, and enough space to party with 450 people. The rooms are massive and mostly overlook the Aspen valley and mountains in the distance. You might have heard of its former owner—President-elect Donald Trump; who sold the house eight years ago for $95m. At the time it was the biggest single residential sale in America. 475 feet of beachfront land, 11 bedrooms, and a separate pool pavilion make it a perfect playground for a real estate mogul or a billionaire, wall building comes optional. This is a one-of-a-kind property. The super-luxury ski lodge is owned by Edra and Time Blixseth who own the Yellowstone Club—a ski resort that only billionaires can enter. The house has 10 heated floored bedrooms and of course a fireplace in each bathroom because it’s really cold in frozen Montana. 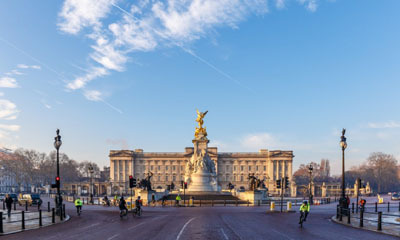 Located on London’s premier, prime real estate Kensington High Street beside the Kensington Palace Gardens and Holland Park. The detached ten-bedroom villa has every luxury you can imagine. It is thought to belong to a Ukrainian businesswoman Elena Franchuk, a close friend of Sir Elton John. It might strike you as being a bit insensitive having a 27-story house in a poverty-stricken area of India just for six people, but it didn’t occur to Mukesh Ambani, the richest man in India. The skyscraper stretches 550 feet and has over 400,000 square feet of interior space. There is 600 permanent staff at the ‘house’ along with a health floor with a pool and an ice room. On another floor, you will find a 50-seat home theater, wine room, and a dance studio. The car park can even accommodate 168 vehicles. So this house needs no introduction neither does its owner. It has a whopping 775 rooms, 19 state-rooms, 52 royal and guest bedrooms, 188 staff bedrooms, 92 offices and 78 bathrooms stretching over 77,000 square meters. More than 800 members of staff keep the place ticking over with jobs that include housekeeping, horticulture, clockmaker, fendersmith, and flagman. The clockmaker is kept busy with the astonishing 350 clocks on the premises one of the largest working clock collections in the world.